Coca-Cola says it has replenished all the water it used to make its drinks -- a first for the company. The company has been criticized for its water use which ramped up after the anti-poverty group War On Want launched a campaign in 2007 to call attention to the issue using the slogan "Coca-Cola: Drinking the world dry." But on Monday Coca-Cola (KO) announced that it returned an estimated 191.9 billion liters of water to nature and communities in 2015 through community water projects. That represents about 115% of the water used in Coca-Cola's beverages last year. Its water use was audited by LimnoTech and Deloitte, and conducted in association with The Nature Conservancy. It also returned nearly all of the water used in its manufacturing process with 146 billion liters of treated wastewater. 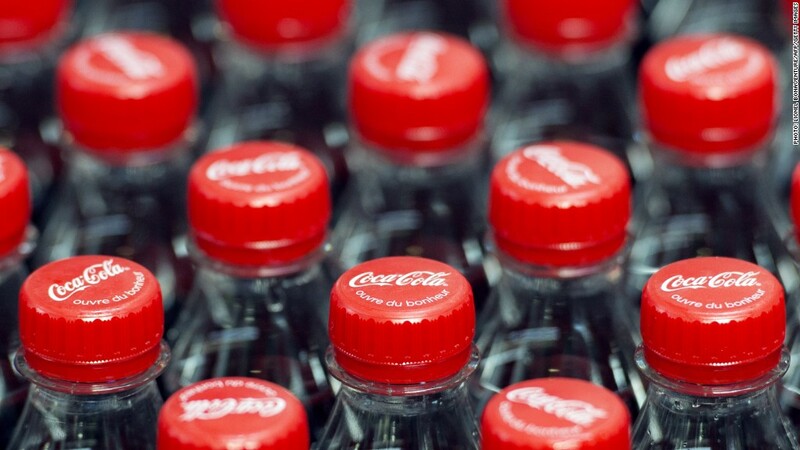 "Every time a consumer drinks a Coca-Cola product, they can have confidence that our company and bottling partners are committed to responsible water use today and tomorrow," said Coke CEO Muhtar Kent. The company announced the goal of replenishing all the water it used in drinks by 2020 after the War on Want's 2007 campaign, and made good on its promise five years early through 248 community water partnership projects in 71 countries. The company said some projects return water directly to the source used by the company, while others meet needs of local communities where there is a pressing need. "This achievement marks a moment of pride for Coca-Cola and our partners," said Kent. He said the company is "keenly aware" that its water stewardship work is unfinished, despite meeting its goal, and that it is exploring how to advance its water programs. But Coca-Cola still has lots of critics when it comes to water use. Last year when Coke announced it was close to replenishing that water it uses in India, the claim was disputed by the Centre for Research on Globalization, which put out its own report claiming that Coke can never be "water neutral." It called Coke's claim of replenishment "a public relations exercise designed to manufacture an image of a company that uses water sustainably -- far removed from the reality on the ground." India is a key market for Coca-Cola. But it has been ordered to shut down plants there due to local concerns about its water use , said the Centre's report. "We find the company's assertions on balancing water use to be misleading," it wrote. "Replenishing an aquifer hundreds of miles away from the point of extraction, as Coca-Cola has often done to 'balance' their water use, has no bearing on the health of the local aquifer which Coca-Cola depletes through its bottling operations," nor on the deprivation of the people who depend upon it.